The Historic Aircraft Collection’s popular winter ‘At Home’ events will be themed in 2017/18, broadening the opportunities afforded to historic aviation enthusiasts to view this stunning fleet of vintage aeroplanes up close. Early October in the UK heralds the curtain call for the airshow season, with activity in the historic scene winding down on the whole as the time for annual inspections and maintenance takes hold until the following spring. These six or so intervening months can be quiet for the enthusiast – it is a very seasonal hobby – or at least it was, as there are a growing number of events of a different nature being held during this ‘off season’. By far the most anticipated of these are hosted by the HAC at IWM Duxford, who have held their At Home days since 2015. 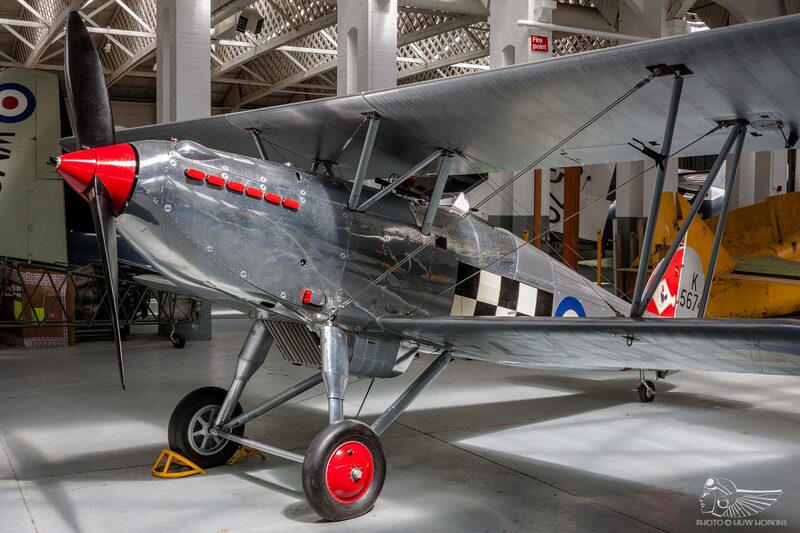 Over the past few years these events have blossomed and allow unprecedented insight into one of the world’s finest collections of historic aeroplanes. At home is precisely how visitors are made to feel during these events and for the day you will be welcomed into the HAC team. Each event follows the same format, beginning with visitors being welcomed into the HAC workshop at Duxford with refreshments. Here the team is introduced, from technical and admin staff to engineers, ground crew and pilots, before the designated talk is given. Following this there is the opportunity to move through to Hangar 3, where the Collection’s aircraft are housed, for a guided tour. Close-up access is granted to each of the aircraft, with steps placed to allow viewing of the DH-9, Nimrod and Fury cockpits, as well as the opportunity to step onto the wing of the Hurricane and sit in the cockpit of Spitfire Mk.Vb BM597. All the while the team are on hand to chat and answer questions, including display pilots Charlie Brown and Dave Harvey, who can give an insight into flying these magnificent aircraft. After some time in the hangar everyone reconvenes in the workshop for refreshments and a final question and answer session. Spaces are strictly limited to allow everyone the opportunity to engage with the team and for a more relaxed atmosphere – well worth the £70 ticket price. HAC’s Hurricane has been on many adventures over the years and in the pilot’s seat for most of the recent trips was F/Lt Dave ‘Harvs’ Harvey, who will give a presentation on his experiences including anecdotes from displaying the aircraft at some of the world’s most prestigious airshows, flying long distance trips into Europe and even to Moscow, and taking part in the filming of Polish ‘Dywizjon 303’ (303 Squadron) movie in 2016. 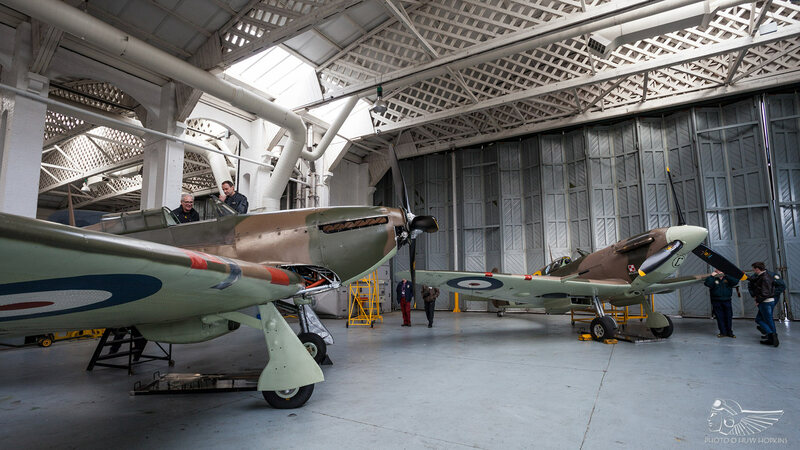 For an additional £40, visitors will be given the rare opportunity to sit in the Hurricane (as well as the Spitfire), although due to its design, customers must have full mobility and restrictions may be placed upon entry on the day. With a Hurricane and Spitfire among its ranks the Collection has a strong synergy with the Battle of Britain. It is fitting, therefore, that Dave Brocklehurst MBE will present a talk on the battle. As curator and historian of the Kent Battle of Britain Museum, he will be able to give a fascinating insight into the period. HAC team member Howard Cook recently received his Master of Arts, Air Power: History, Theory and Practice at the University of Birmingham. Having previously displayed the Nimrod and Hurricane at airshows, Howard wanted to delve deeper into the history of how Hawker aircraft were developed and the role they played in history, and it is on the subject of their part in saving Britain which will form the basis of what is due to be a very interesting talk. Strong ties between Poland and the HAC have stemmed from Spitfire BM597’s time serving with 315 & 317 Polish RAF Squadrons during the war. Over the years many Polish airmen have been hosted and past pilots of BM597 re-united with the aircraft, the majority of whom have sadly passed on. The ties still endure to this day, however, as both the Hurricane and Spitfire have attended events in Poland over recent years and the Hurricane is currently resplendent in 303 Sqn markings.  Chairman of the Polish Air Force Memorial Committee, Richard Kornicki OBE, will present a talk on the role of Polish airmen in Britain during the Second World War. Incidentally Richard’s father, Squadron Leader Franciszek Kornicki, was one of those pilots who flew BM597 during squadron service. The latest arrival into the HAC stable in Hangar 3 is the long anticipated Airco DH-9, which is due to fly soon following the culmination of a mammoth 17-year restoration. 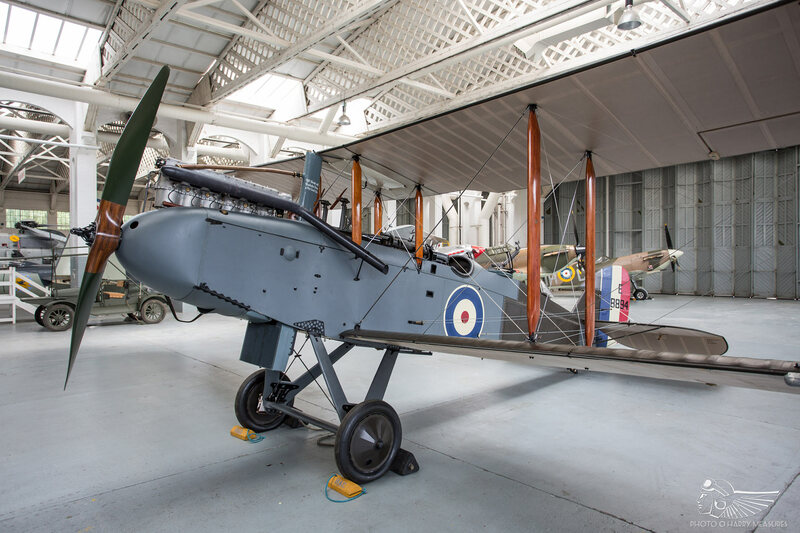 Engineering Director Guy Black will present a talk on the challenges Retrotec faced bringing this First World War bomber back to the air, shedding light on one of the most ambitious projects ever undertaken. This event will also include a book signing of the as yet unreleased ‘DH-9: From Ruin to Restoration’, co-written by Guy Black and Andy Saunders on the discovery, recovery and restoration. One not to be missed! Make sure you don’t miss these unique insights into the HAC and subjects relating to their unique array of aircraft. To keep up to date, keep an eye on the HAC website, Facebook and Twitter pages. To book a place on any of the above dates or for more information, either e-mail hac@aerovintage.co.uk or call 01580 830 215. Remember, places are strictly limited, so book early to avoid disappointment!